When a song overcomes the borders of its own country and becomes universal, then this song narrates its own story. 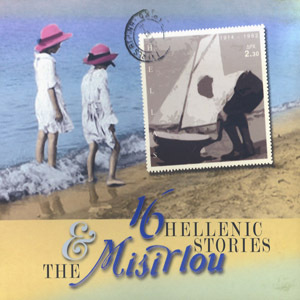 16 such Greek stories about the gathering of great voices, singers and composers, as well as gathering of memories that travel us through time. Finally: the legendary “Misirlou” (has been officially performed in 35 different versions all over the world!). Important international singers, such as Harry Belafonte, Milva, Al Bano, Maria Del Mar Bonet among others, approach with great sensitivity, traditional Greek Music and compositions of significant Greek artists like Hadjidakis and Theodorakis. Enjoy!